Is Henry Francis “mad” to be pushing a reel lawnmower? If you tuned in to Mad Men on October 10, 2010, “Blowing Smoke”, you saw a sweaty Henry, Betty Draper’s new husband, doing some heavy breathing while mowing the lawn. Advertising may not have changed much since the 1960’s but reel mowers have and in a good way. City dwellers are using rooftops to grow fruits, vegetables and herbs using home-grown, rich organic fertilzer made from kitchen scraps. 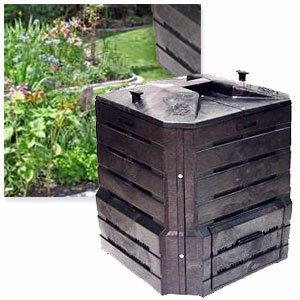 Smaller model composters, such as the Soil Saver are easy to fill, mix and harvest even in the coldest of climates. Learn about rooftop gardens from The Rooftop Garden Project, where you can read all about urban rooftop gardens and how new ways to interact in the urban environment and with the food cycle are explored. Urban rooftop gardens produce fruits and vegetables ecologically, encourage physical activity and make use of organic waste. Green Festival, which takes place in Washington D.C. on October 23-24 2010 is described as “a walk through a sustainable community”. This year, exhibitors include Breeze Dryer. Visit and you can see the Hills Clothesline, one of the many products which help make our lives healthier. By line drying half of their washloads, an average family can save 720 pounds of carbon dioxide in a year. See the best in green and hear business and community leaders discuss critical environmental issues. You can attend workshops, see films and visit a unique marketplace where you can shop for products that reduce pollution. 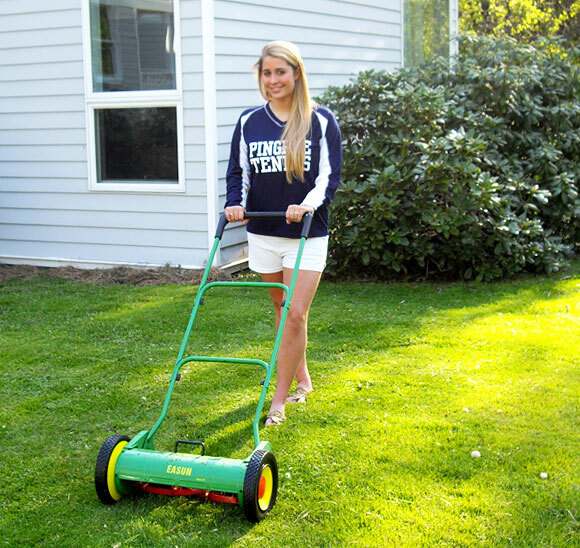 First Lady Michelle Obama’s “Let’s Move” campaign and the Presidential Active Lifestyle award program challenges familes to choose gardening as an outdoor activity and to use a push mower to mow the lawn. 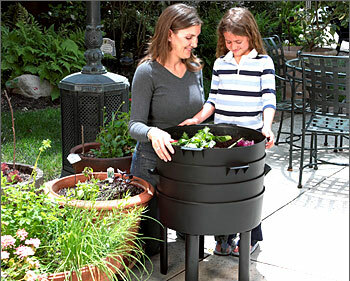 Rolypig is a fun way to get children involved in composting and you can sponser a child for the Junior Entrepeneur Program (JET) to help a child start a small lawn-mowing business.